November 16, 2015 – The holidays are bringing more new whiskies, with new releases announced from Dewar’s and Grant’s at both ends of the price spectrum. 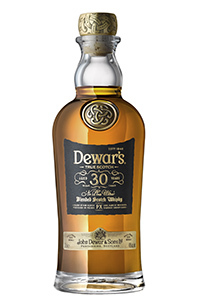 At the upper end, Dewar’s is releasing the oldest expression in the brand’s 170-year history, the Dewar’s 30-year-old Ne Plus Ultra Blended Scotch crafted by Master Blender Stephanie MacLeod. Each of the whiskies in the blend was matured for at least 30 years before being finished in Pedro Ximenez sherry casks. The initial release is in partnership with DFS Masters of Wines and Spirits currently underway at Singapore’s Changhi Airport, with the first nine signed bottles signed by MacLeod on sale for S$888 ($625 USD). Each bottle will come with a 20cl tasting sample to allow buyers to taste the whisky without having to open the full bottle. Starting December 1, Ne Plus Ultra will be available in selected travel retail locations worldwide with a recommended retail price of S$688 ($484 USD). At the other end, Grant’s Ale Cask Blended Scotch isn’t officially a new release, having been available since 2006 in the UK, Canada, and other selected markets. However, William Grant & Sons has decided to finally export the beer barrel-finished whisky to the US market. The blend originally helped launch Innis & Gunn Beer, which was created in 2006 from the ale brewed specifically for use in seasoning the casks before the Grant’s blend was finished in them. Grant’s Ale Cask will be available in select US markets with a recommended retail price of $19.99. 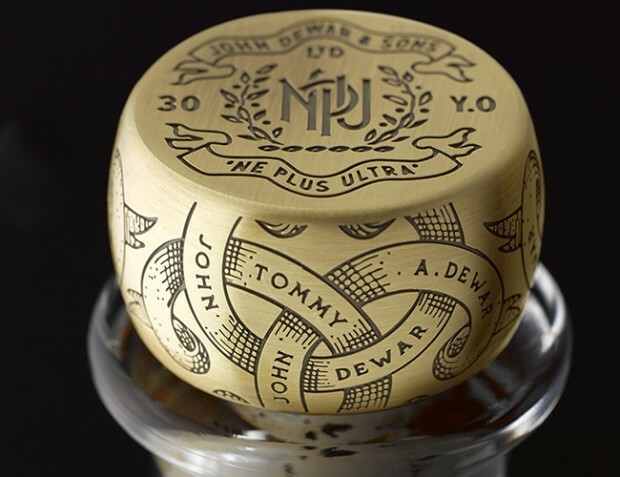 Editor’s note: This story was updated to correct an error in the size of the tasting sample for the Dewar’s 30 Ne Plus Ultra to 20cl.